Back when I ordered mango butter for the first time I was really, really hoping it would smell like mangoes. I mean, cocoa butter smelled beautifully of cocoa, so there was at least a chance that mango butter could smell like mangoes, right? Nope. While mango butter is a stunning, super lightweight creamy butter with an enviable dry finish, the scent is pretty much non-existent. It’s a great canvas for other scents, but if you were hoping to smell like some kind of tropical cocktail scented butter, you’re out of luck. This is where Essential Wholesale’s natural mango fragrance oil comes in. I was a bit skeptical (could it really capture all that mango-y wonderfulness I’d been missing? ), but dang—this natural fragrance is stunning. It is tangy and fruity and juicy and positively mouthwatering. It smells better than any mango themed fragrance oil I’ve ever come across. With this stunning mango scent and gorgeous mango butter in my pantry, I knew what I had to do. I had to create that body butter I’d wanted all those years ago, when I dreamed of mango butter smelling of mangoes. Sea Buckthorn Fruit oil is seriously dark! Our base is mostly mango butter, of course! Not only for the mango-y theme, but also because it’s a beautiful dry-touch finish butter. Unlike heavier butters (shea being the first one that pops to mind for many) it sinks into the skin in a flash without any heaviness or oiliness. I’ve softened the mango butter with some lightweight liquid oils—silky, super-fast-absorbing camellia seed oil and gorgeous golden jojoba oil. For that juicy orange colour I’ve included just a wee bit of sea buckthorn fruit oil. My sea buckthorn fruit oil is absurdly pigmented—it looks straight-up red in the dropper—but once diluted in the rest of the butter it contributes a beautiful orange colour that really ties the whole project together. 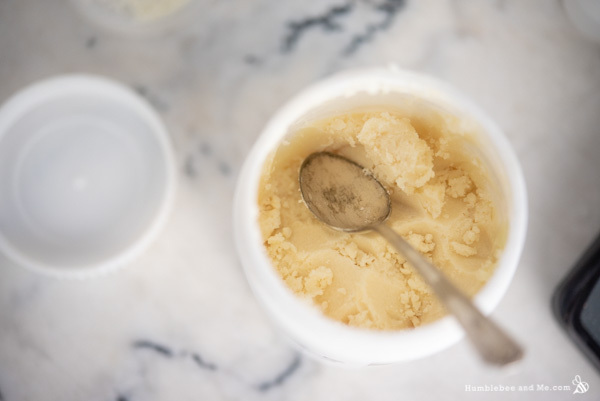 To keep things silky smooth we’ll be bringing this butter to trace in an ice bath before letting it set up. I’ve been finding that butter blends that don’t contain anything quite firm (like cocoa butter or a BTMS) go a bit funny and mealy if they finish setting up in the fridge (while the ones with firmer ingredients do that if they don’t set up in the fridge), so after the ice bath trace and the transfer to the container, just let the butter set up on your counter. 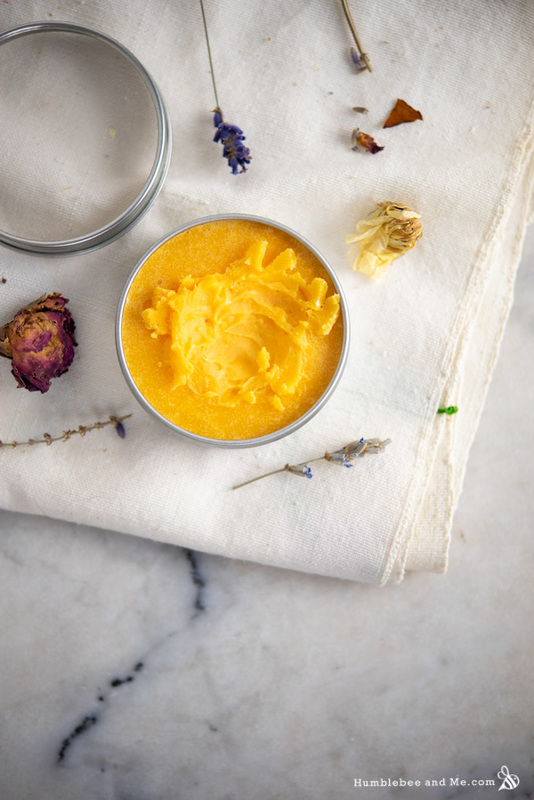 You’ll be rewarded with a sunny, Mango Mango Body Butter that leaves your skin thinking it’s already summer. Swoon! 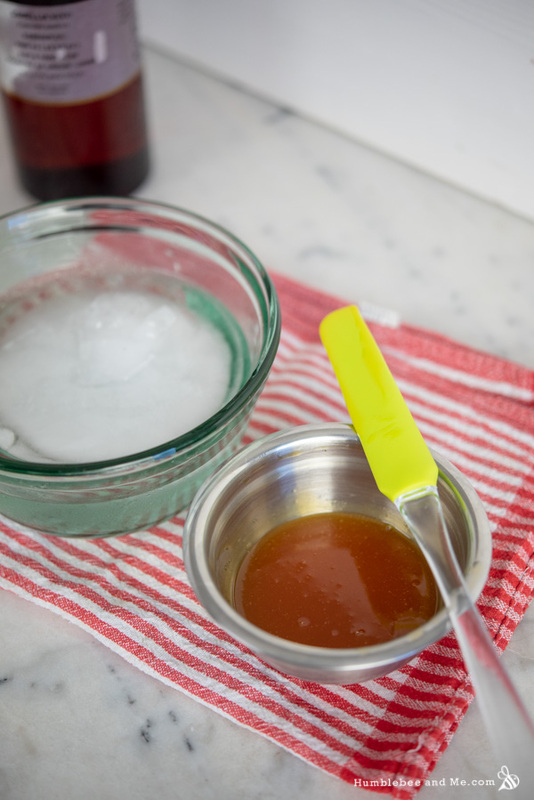 Once the mango butter has melted, remove it from the heat and stir in the camellia seed oil and jojoba oil. Then place the bowl in the ice bath and stir constantly for about one minute, until the mixture has cooled a bit but hasn’t noticeably thickened or started to opacify. 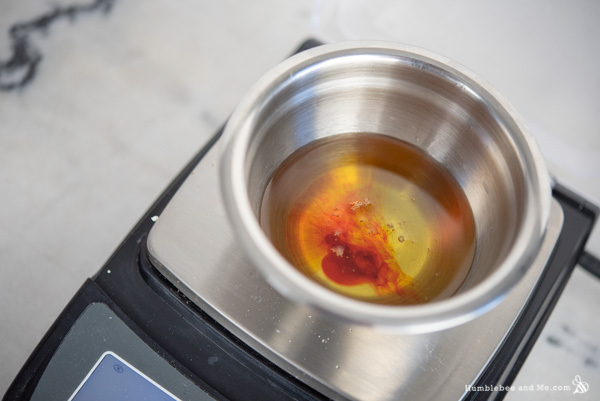 Weigh in the sea buckthorn fruit oil, vitamin E, and mango fragrance oil. When you have reached trace, transfer the mixture to a 60mL/2oz tin and leave to set up for at least six hours (though I found it will continue to set up/mature for about a day. Do not refrigerate. That’s it! To use, massage into your skin. Enjoy! As I’ve provided this recipe in percentages as well as grams you can easily calculate it to any size using a simple spreadsheet as I’ve explained in this post. 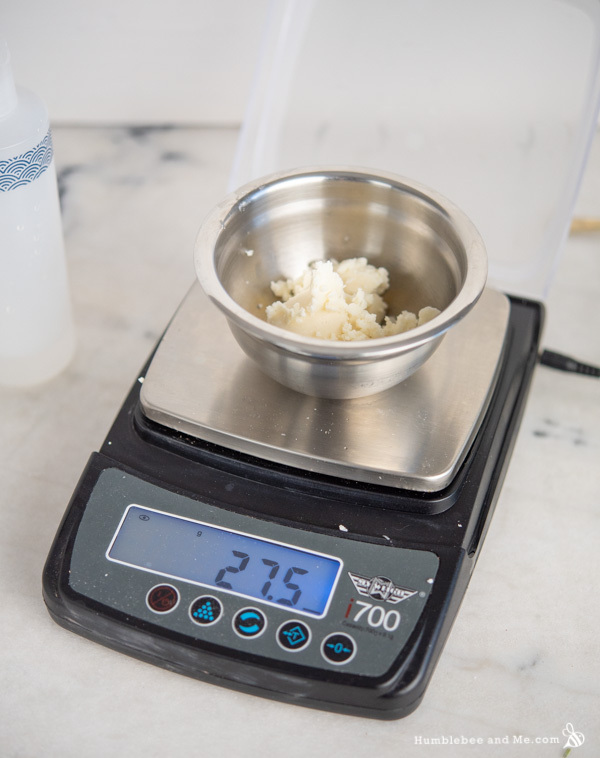 As written in grams this recipe will make 55g, which will fill a60mL/2oz tin nicely. Please don’t substitute the mango butter or the natural mango fragrance oil. If youhave to use a mango fragrance oil instead of the natural mango fragrance oil that’s ok, but if you use something other than mango butter that will dramatically impact the end feel and absorption speed of the final product. If you want to substitute the camellia seed oil or jojoba oil please choose other relatively fast-absorbing oils that don’t have a strong scent. Check out the encyclopedia posts for both oils for some ideas. You could use a different orange oil (sea buckthorn seed and buriti are good options) or an orange mica to get the orange hue. You could also replace it with more of one of the other liquid oils in the recipe, but then the end product will (obviously) not be orange. 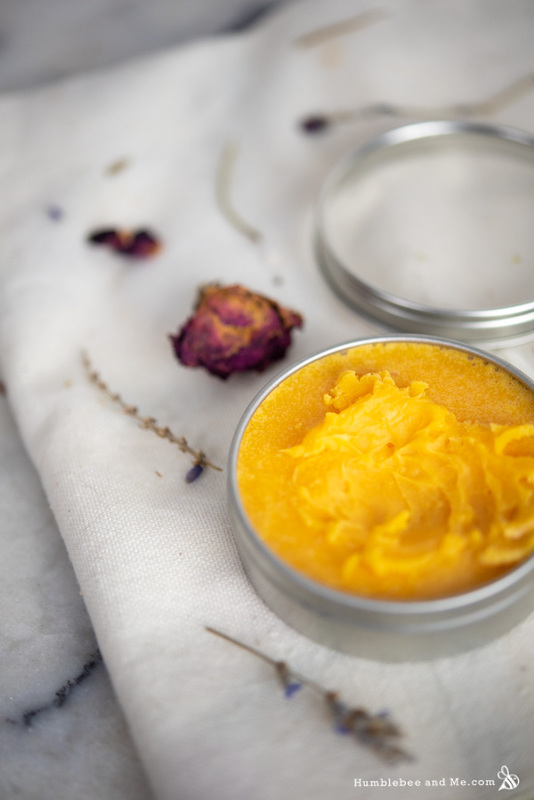 I absolutely adore Mango Butter, so last year I created my own balm recipe using equal amounts of Mango Butter, Jojoba oil, Camellia seed oil AND Macadamia nut oil, all set together with beeswax. The results were a phenomenal multipurpose balm that moisturizes without the heaviness or greasiness. So fast absorbing & versatile! Well I learned about a new ingredient. I never heard of Sea Buckthorn fruit oil. It is very pigmented. Isn’t it pretty?! I’ve detailed both the seed and the fruit oil in the Encyclopedia-you should check them out! Thank you so much for sharing your recipes. Brilliant. I cant wait to try this one. I just got a sampler set from Essential Wholesale and it had their mango scented conditioner. Was thinking I needed to grab a bottle of that fragrance oil and now your recipe has convinced me! Mango, along with pineapple, is one of my top favorite scents that essential oils can never recreate. Oooh lala! Their passionfruit natural fragrance is also flat out amazeballs 😀 It might even be better than the mango one! And don’t forget to look at their selection of hydrosols—SWOON! Thanks so much! I’m sure you’ll find all kinds of goodies—don’t forget to use my coupon code, too! Love SIBU Products. Their oils are expensive but the best you can buy! I’ve started using mango butter in my lotion bars as it just absorbs a whole lot better and no greasiness. Thank you for this recipe, looks absolutely decadent! I’ve been so impressed with the SIBU products I’ve tried (and I love how their seed oil doesn’t dye my skin!). Once you go mango butter it’s hard to go back to anything heavier, eh?! Hi Marie, wow, this body butter looks amazing! I ordered some mango butter an mango fragrance, and can’t wait to make this, thank you! Hi Marie, I love this idea, but don’t love the $60 USD price to get a bottle to Canada. Is there a work around or another source for this product? 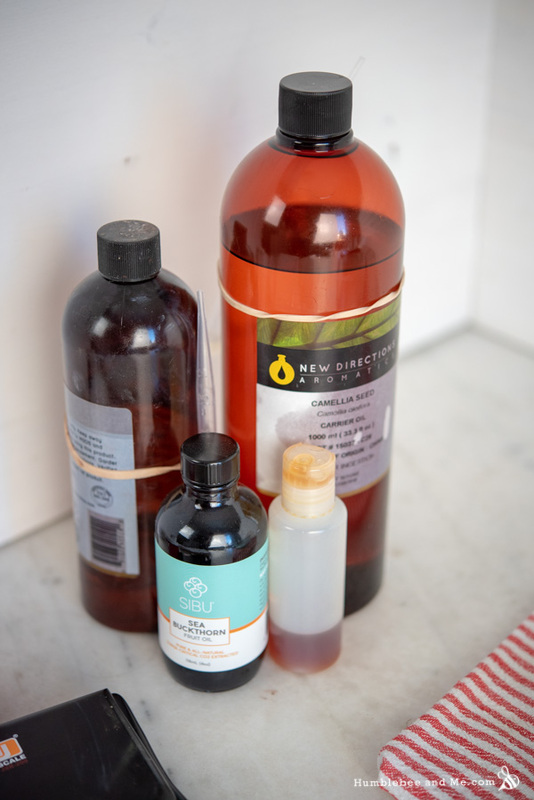 I’ve afraid I don’t know of a different source for that product, but as noted in the substitutions list you could use a mango fragrance oil instead of that particular natural fragrance oil 🙂 New Directs has a few mango type fragrances! Hi Marie! Greetings from Finland! I’ve been following Your blog for years… Made dozens of your wonderfull recipes for me and My family, we love them! Conditioning sugar plum body butter is our latest favourite, also without plum, with rose wax + mint eo or jasmine wax + plum oil…(it’s all about the colors now :)). I just bought myself a copy of Make IT up! and it certainly feels like it’s Christmas again or something! Thank You so much for everything! Not only my favorite color but the perfect flavor to perk me up this cold winter. I’ve been gathering some of your recipes, ordering bottles, oils, waxes and preservatives and getting ready to create my own natural products for me and other friends going throu Chemo. Not only will they will lift our spirits but keep us healthy too! . Your book should arrive Monday! Your site and content is award winning. I have searched your blog and can’t locate two areas of information. How to thoroughly clean my new jars? Thank you for and help you can provide!!!! Making your own products is insanely fun and will for sure lift your spirits and of all those around you. If you are new to the craft, be sure to check out Marie’s beginner recipes, and don’t use anything too expensive the first time or two you make something for the first time just so you can see how everything pulls together. That way, if you make a mistake or forgot something, it is not an expensive mess! To answer your questions; 1) containers, and 2) I wish! There is not actually a phone app or a program for hobbyist makers where you can keep track of what you buy. I created my own type of spreadsheet to keep track of what I have and what I need to order. It’s kind of like baking. You want to bake some oatmeal raisin cookies, but find out that you have bought way too much oatmeal and no raisins! So good to know! Thank you for setting me straight! Hey Marie, just made the Mango Mango Body Butter. 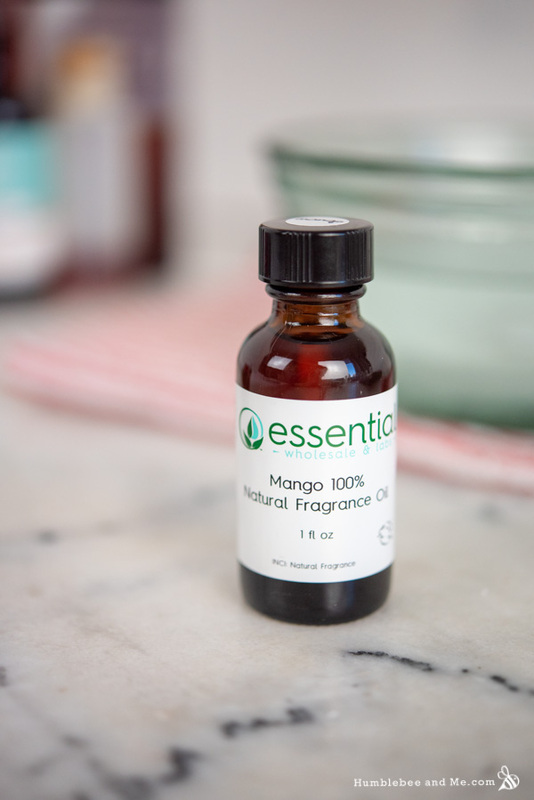 You were so right about Essential Wholesale’s mango natural fragrance oil – it smells divine. Juicy is the best description! It’s setting up now – can’t wait to use it! I also grabbed the passionfruit natural fragrance oil. It smells soo good. Can’t wait to see how we use this one. OOOOh I have the passionfruit one as well and SWOOOOOOOON. It might even be better than the mango one, I can’t decide! They are both beyond divine 😀 I’m so glad you’re loving them, too! 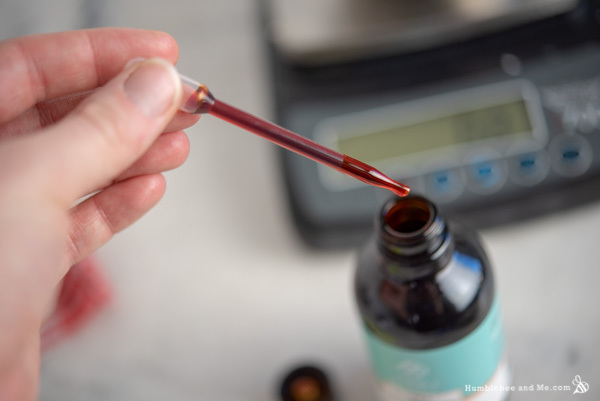 If I replace the sea buckthorn fruit oil with an addition to the jojoba oil or camellia seed oil, do I add this at when I add the majority of the oils? 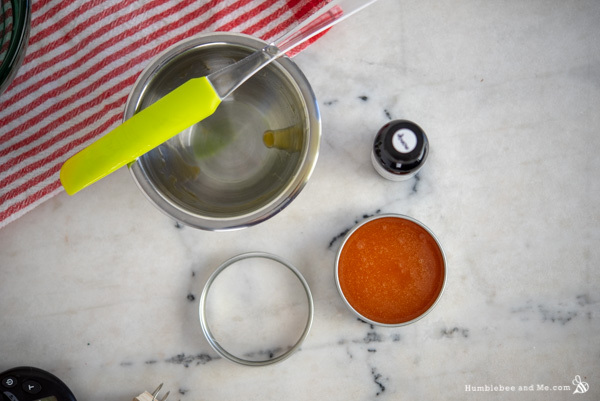 Are you adding the sea buckthorn fruit oil after it cools down because it is heat sensitive? You’d just add it with the majority of the other oils 🙂 It is a fairly precious oil, so I figured if we could avoid heating it we might as well! Hello Marie, I love your recipe and have made a quite few products of them which I am really happy to use. I am living in India, very hot place compare to where you are living. Recently body butters I have made with your recipe are getting melting if I put them out of my fridge. So can you give me some idea for keeping them solid, should I put more butters and waxes than your instruction and if so, how much percentage should I put more?